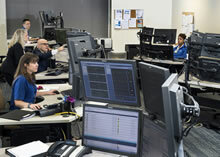 By using providers stationed in a complementary time zone — in this case, Sydney — to cover the Atlanta eICU night shift, the remote care arrangement reverses two of the largest drawbacks of critical care night staffing: a shortage of senior clinicians willing to cover night shifts, and the toll that working nights takes on caretakers and their attention levels. A three-way partnership using remote monitoring is bringing round-the-clock eICU care to patients at Emory Healthcare in Atlanta, delivered by critical care physicians based in Sydney, Australia. The pilot program aims to improve the outcomes of high-risk patients in greatest need of constant observation. Emory Healthcare critical care physicians and nurses based onsite at Macquarie University's MQ Health in Sydney will use Royal Phillips' remote intensive care unit (eICU) technology to provide monitoring. 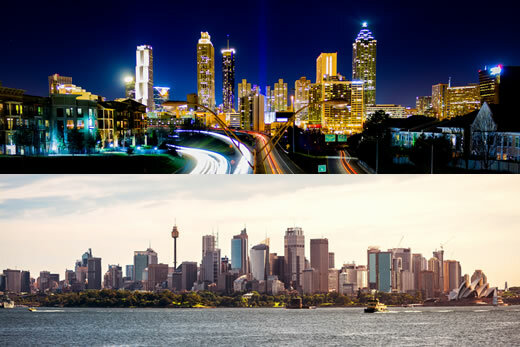 Combining daytime critical care coverage in Atlanta with night-time coverage from Sydney provides focused, 24-hour-a-day management of ICU patients by critical care specialists, potentially decreasing the risk of complications, shortening patients' length of stay and saving lives. MQ Health is the first university-led integrated health campus in Australia, bringing together research and clinical care. 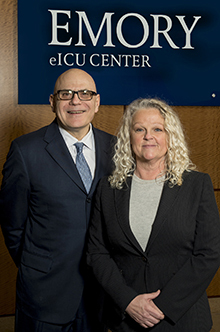 The creative vision to turn "night into day" was developed by Timothy Buchman, MD, founding director of the Emory Critical Care Center, and Cheryl Hiddleson, MSN, RN, director of the Emory eICU Center. By using providers in a complementary time zone — in this case, Sydney — to cover the Atlanta eICU night shift, it reverses two of the largest drawbacks of critical care night staffing: a shortage of senior clinicians willing to cover night shifts, and the toll that working nights takes on caretakers and their attention levels. "In Australia, these types of technologies also have far-reaching potential to support care of rural and remote patients," he says. "Currently the optimal medical treatment there, in a stressful setting such as the ICU, can be thousands of miles away. The introduction of electronically-delivered specialist care has the potential to standardize the quality of care between the hospital and the countryside." Considerable logistical challenges had to be overcome, but Hiddleson feels confident that the remote monitoring and consulting from Sydney is as secure and effective as remote monitoring by providers in the same city. "The primary responsibility still falls on the team members at the patient's bedside," she says. "We're there as a second set of eyes, with the added benefit of being able to speak directly to the bedside staff, patient and family." The Emory project leaders are currently tracking sleep cycles, mood changes, clinician stress as measured by cortisol levels, and overall quality of life, says Hiddleson. They are testing the efficiency of Emory clinicians practicing in Australia as well as the program's impact on patient well-being. Future plans include expanding intramural and outreach coverage, and possibly extending the international options for Emory clinicians working in the eICU. "The notion of a global eICU network is an interesting one," Buchman says. "I am having some 'what if' conversations with colleagues on what it would take to put critical care professionals shoulder to shoulder around the world, local and "visiting expatriates," so that everyone's home night-time care could be delivered from somewhere that is daylight." To view a video about the new collaboration, click here.